State-of-the-art, privately owned, multi specialty small group practice (general and pediatric) is looking for a front desk administrator AND chair side dental assistant. All candidates should have experience working in a dental office. Eaglesoft practice software experience AND General or pediatric specially experience is a plus. A positive, friendly and fun personality is a must. We are looking for candidates to be able to grow with the practice. Modern, state-of-the-art multi specialty group practice. 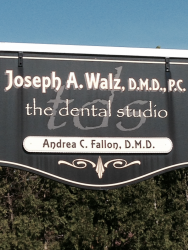 We have two locations (at same street intersection) One office is our General/Cosmetic/Implant practice. The other office is our new Pediatric dental office. We strive to serve our patients in a fun and comfortable environment.